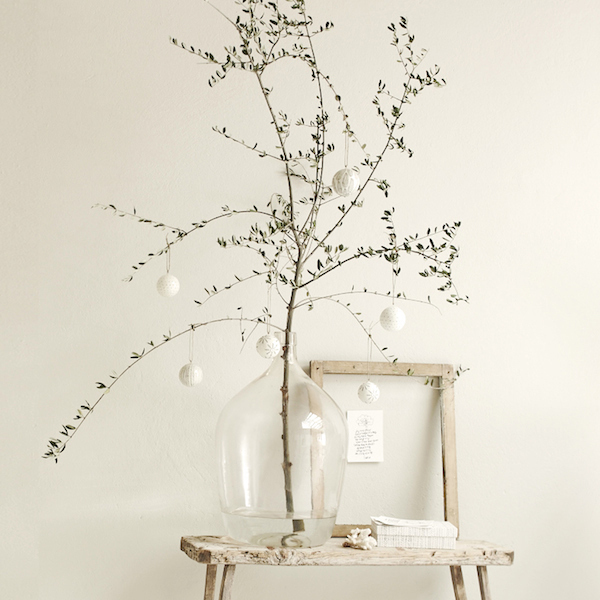 When it comes to Scandi design, natural branches and foliage are Christmas decor staples. To create a focal point, a few foraged branches and sprays of pine can be much simpler alternative to a Christmas tree, especially where space is limited. 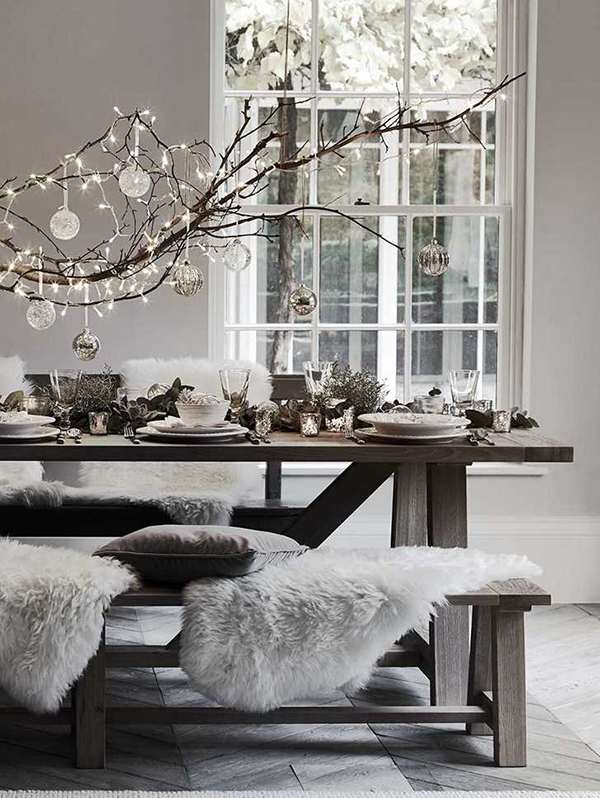 So, if you’re looking for ideas for the ‘no tree Christmas tree’, these 10 looks have a fresh Nordic feel. Natural wreaths have been popular at Christmas for centuries, typically made from evergreens that are able to survive the harshest winters. 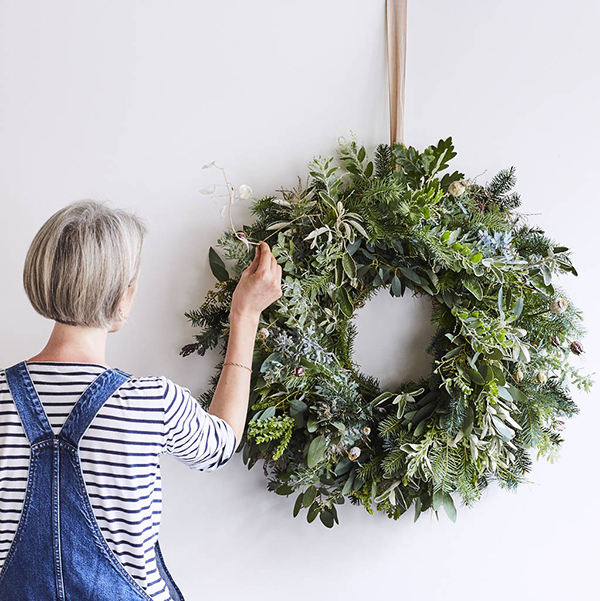 Getting a real wreath made up by your local florist will give you the chance to bring all kinds of festive scents into the home such as eucalyptus, pine and even citrus. Pictured is a lovely design from The Indytute Experiences* who put on classes to make your own. 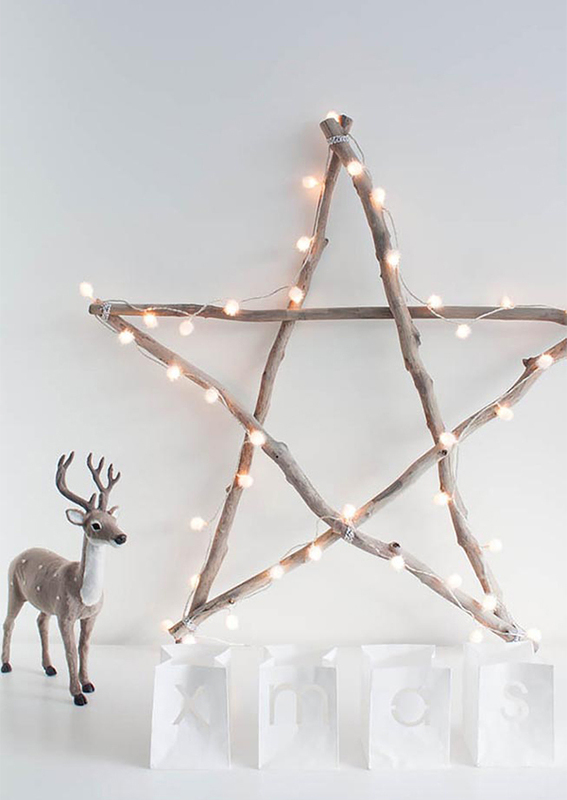 These twig stars are another typically Scandinavian decoration and as you can see from the video below, are very easy to make. As usual, drape with fairy lights and prop up on a side table or fireplace. Image via Houzz. Hanging tree ornaments can come in beautiful intricate designs that sometimes get lost once they’re hung on the Christmas tree. 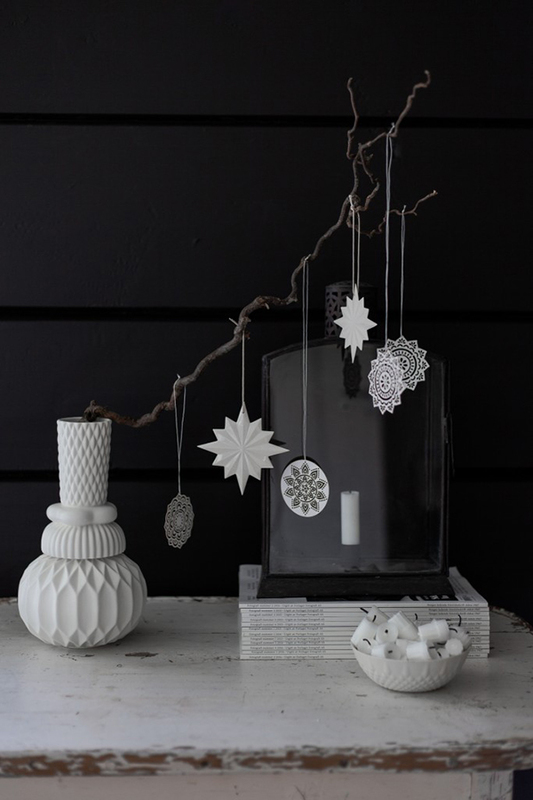 To show them off, hang a small collection on a single branch, as demonstrated in this monochrome set up by talented Norwegian interior blogger Marthe Holien Bø. 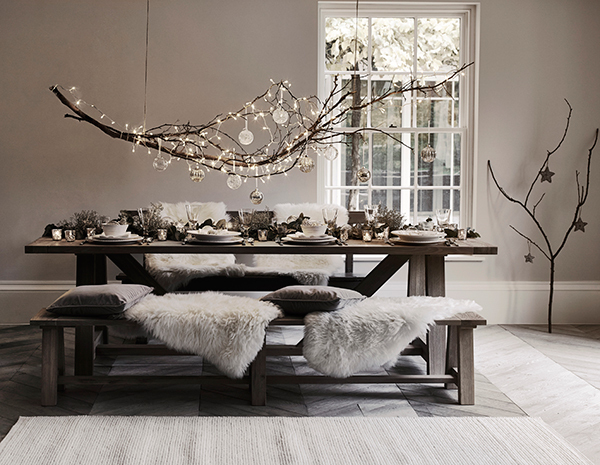 Neptune styled this Scandi inspired Christmas table setting by suspending a huge branch from the ceiling. Providing you have some way of hanging it securely, it’s a clever alternative for creating impact in a smaller space, without the need for a Christmas tree. 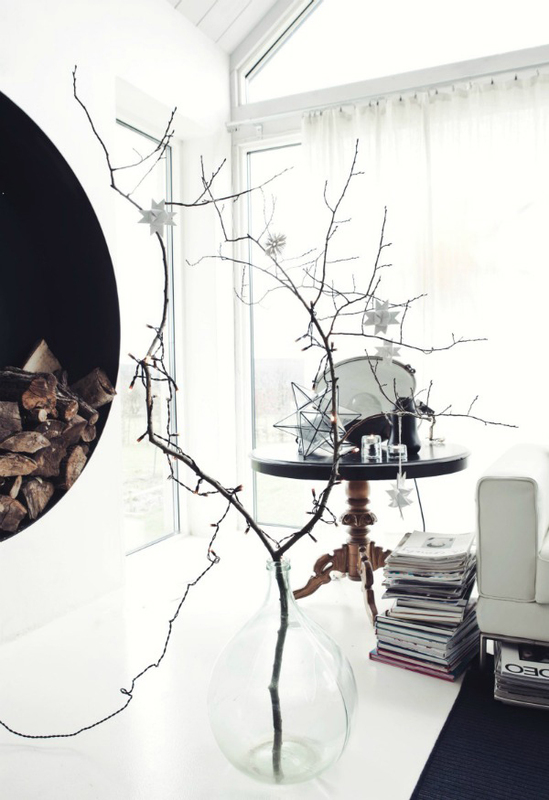 In this house featured on Bo Bedre, the owner demonstrates how he decorates for Christmas to match the grey colour palette of his interior. 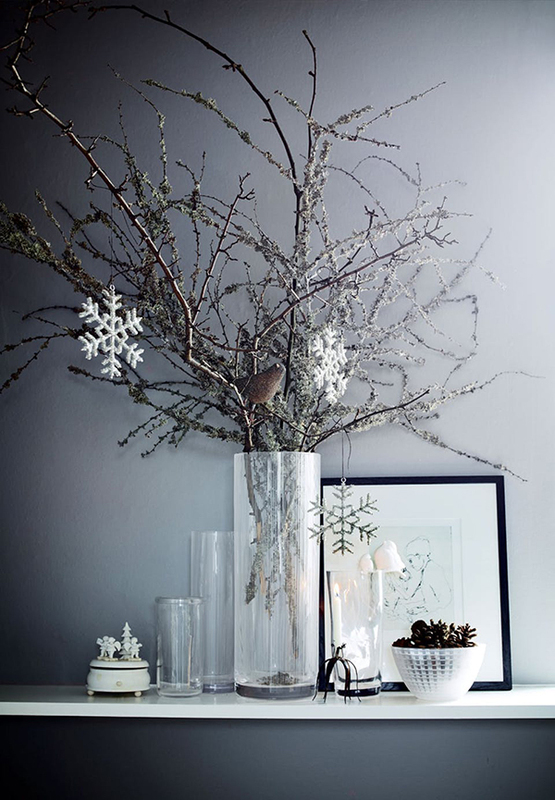 With this collection of dried branches, the look is kept understated with just a few snowflake ornaments. Photo by Kristian Septimius Krogh. They may not all be suitable for eating, but berry branches are an effortless way of adding a splash of colour to the table. In this rustic table setting the look it completed with apothecary bottles for vases and linen textiles. 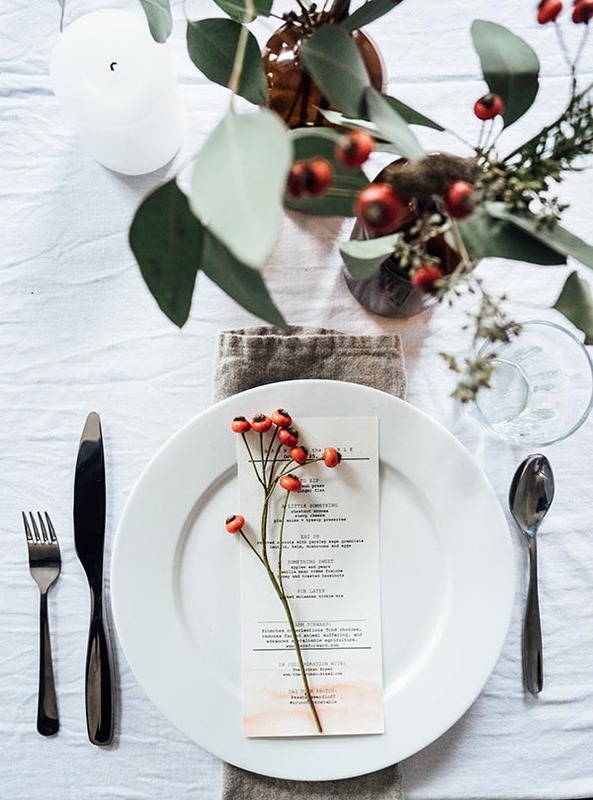 Image via Tending the Table. If you don’t have a beautiful period fireplace to hang your Christmas stockings on (and Santa will just have to find another way in) The Merrythought may have found an alternative. This simple DIY is a lovely way to jazz up a white wall. Keep it plain or add as much extra greenery as you wish. This winter styling by Atelier Sukha in Amsterdam shows just how much ‘pale’ can most definitely be interesting. It shows how white on white combined with warm wood, can look bright and cheerful and well as calming. Styling by Cleo Scheulderman and photo by Jeroen van de Spek via Vosges Paris. Another way to bring that lovely pine scent into the home without the hassle of a whole Christmas tree. 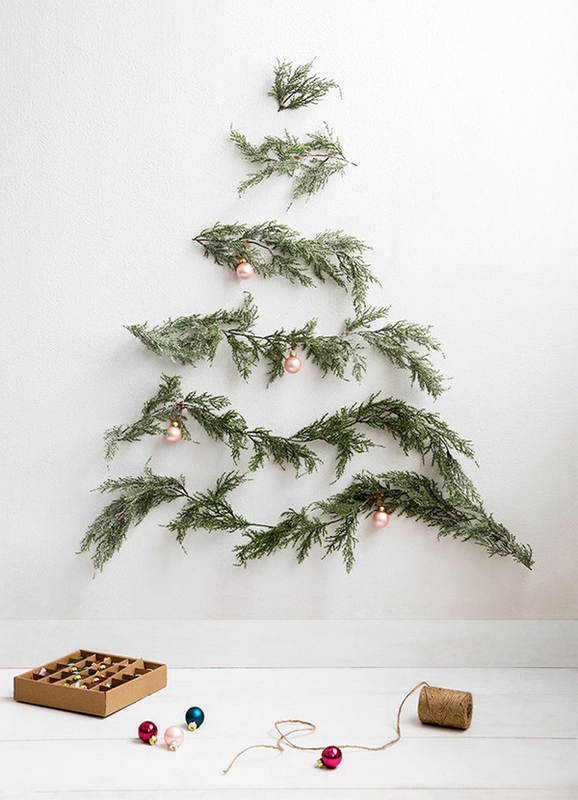 Domino have come up with some simple DIY tutorials for small spaces, including this tree design made from a few pine garlands. They’re beautiful and inspiring. Thank you.